Churchill Downs, the legendary home of the Kentucky Derby presented by Woodford Reserve and the Longines Kentucky Oaks (both G1) announced a five-year partnership with local bottler Coca-Cola Consolidated. The partnership makes Coca-Cola the official and exclusive soft drink partner of the Kentucky Derby. The deal includes sponsorships, in-kind products, and direct promotional and marketing support of a variety of Coca-Cola products, including Coca-Cola, Diet Coke, Coke Zero Sugar, Coca-Cola Life, Sprite, POWERADE and Dasani. In addition to refreshing Churchill Downs racing fans, Coca-Cola Consolidated will support community initiatives and fundraising events that take place during Derby week. Coca-Cola Consolidated will also bring exciting new offerings to fans at the races through experiential activations such as virtual reality experiences and customized race day bottles. Coca-Cola Consolidated took over Coca-Cola operations in the Louisville region in February 2015, which was previously serviced by Coca-Cola Refreshments. 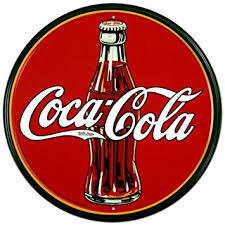 Later that year, Coca-Cola Consolidated celebrated the grand opening of a brand new 305,000 sq. ft. sales and distribution center. The company invested more than $12 million in the state-of-the-art facility, which employs more than 350 people and distributes Coca-Cola products to 21 counties in the Kentucky region.